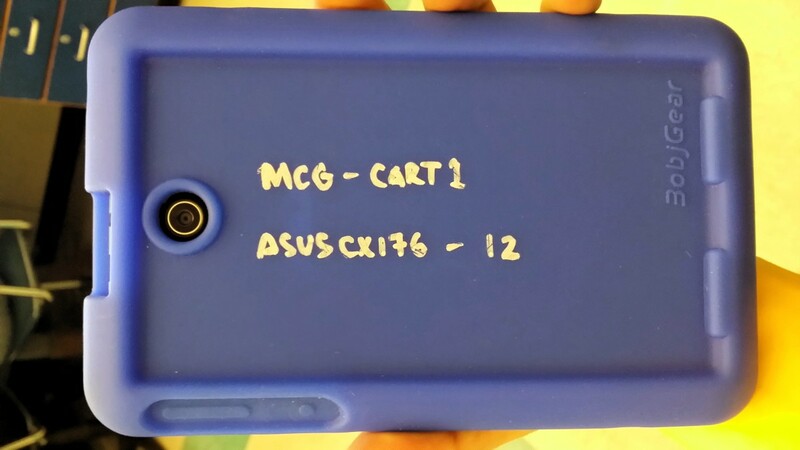 We decided to standardize on the ASUS MeMO Pad 7 for the first year of our project. This tablet has a good combination of a decent screen, solid build, and reasonable price. One key feature of these tablets is that they have regular micro-USB ports for charging, and they will charge when plugged into a computer. Kids can use them all day plugged in and they’ll stay charged. Samsung tablets will only charge from their special adapters, and the 7″ Google Nexus tablet (otherwise our first choice) is no longer being manufactured. We bought the MeMO Pads from a tech integrator, together with charging carts for each classroom. 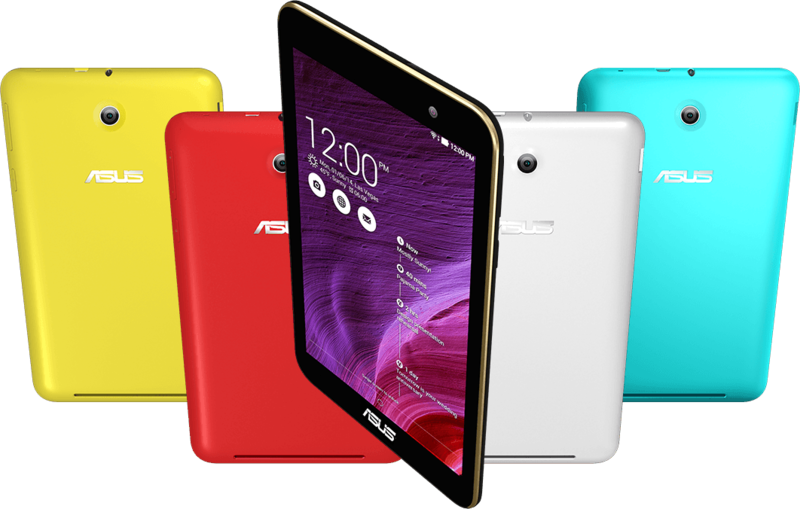 The exact model is the ASUS MeMO Pad 7 ME176CX. Here is a sample of one of the teacher’s lesson plans developed this year. I think this sampling here gives one an understanding the level of basic computer skills required to start the programming work. See below for a link to the full curriculum progression over the full 15-20 hours. Have the students get familiar with “driving around” the computer so that they have more ease of use when creating apps. Knowledge – Knowledge of computer organization. Skills – Have the students get familiar with downloading files, where to save a file to the hard drive, files, folders, naming files, and stress organization. Have the students get familiar with “driving around” App Inventor. Learning Objectives Knowledge and Skills – Have the students get familiar with logging into Google, going to App Inventor website, hooking up tablet, connecting via USB, look at display, look at blocks, and see how that affects the tablet. Our teacher professional development (PD) began in early October of 2014. We have the participation of five middle school teachers—three from Medford and two from Everett. Project Background. We got the teachers up to speed of the general situation regarding Computing in Education in the United States and how this project aims to promote a computing experience amongst Middle Schoolers in Medford and Everett. We also pointed out how this project aims to study of our work’s effects on CS education pipeline later as these student progress into High School. Orientation to Computing and Computational Thinking Skills Building. Teachers were introduced to hands-on programming work and readings that discussed various approaches that aim to alleviate the known obstacles to building computing skills and confidence. The hands-on approach got teachers quickly learning practical skills, and within weeks all were able to build their own apps for their Android tablets! Curriculum Development. Interwoven into our Computing Skills Building training was discussion about how these learned skills and knowledge would be implemented in their own class rooms. By Session 6, we were fully on to the topic of Curriculum Development and teachers were asked to focus on plans to integrate their own class objectives with a selected few of the CSTA Learning Standards. At the end of this process, teachers had written their curriculum goals and created lesson plans; we’ll share a sample in a subsequent post. Logistics Assistance: This support thus far has been provided mostly by Teacher Mentor Akira Kamiya and undergraduate assistant Kim Douglas. 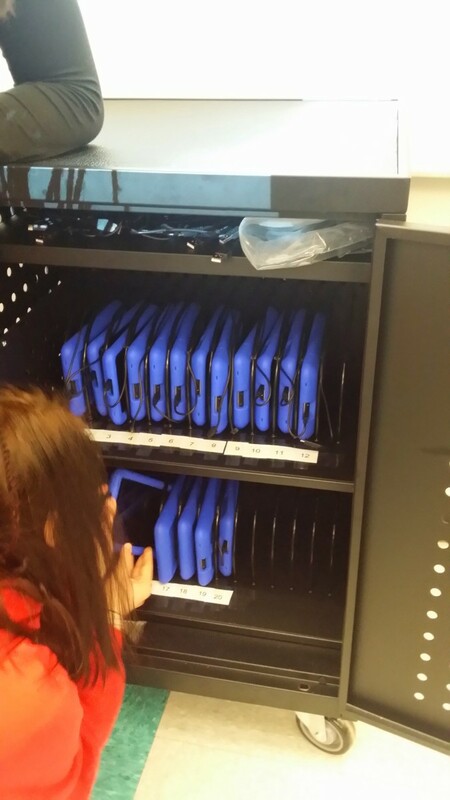 To date, desktop computers with appropriate drivers and set up the tablets to be ready for student use. This included installing a Demo App made by one of the teachers during our PD. We also set up Google Drive to allow direct access to teacher shared files. This entailed thinking through out Google’s complex cross device sharing which was cause for some concern regarding privacy. We feel now that this has been sufficiently worked out. This work is ongoing and includes technical assistance Updates will be forthcoming! How do the project’s school-day and summer-intensive project work and career awareness activities impact students’ attitudes toward computing and ability to engage in computing practices? How do the project’s collaborative professional development model leads to teacher content learning and curricular adoptions? How do the the school-day intervention leads to students’ choice of continued involvement in computing—i.e., the summer camps and future opportunities beyond middle school? The research team will employ a mixed-methods approach. In collaboration with the evaluation team, we are planning to develop/use multiple tools for data collection: (1) embedded content assessments, (2) surveys of CS attitudes and activities, (3) CS Summer Camp Survey, (4) interviews and Focus Groups, (5) observations, (6) analysis of students’ apps, (7) performance assessments (e.g., debugging activity), (8) secondary analysis of school administrative data, and (9) follow up surveys and interviews.,analysis of students’ apps. Currently, the research team is focusing on addressing questions regarding students’ development of computational thinking, including designing an embedded content assessment, analysis of students’ apps, developing performance assessments and using structured interviews to example students’ broader development of computational thinking practices. Embedded Assessment Instrument – use an app! As part of our research pre-assessment of student skills, we developed an integrated assessment tool. But, unlike most “embedded assessments,” learning activities that also exposes something measurable, ours is an instrument first, that uses an interactive app to help measure the students’ skills and understanding of computational thinking concepts AND digital literacy. This tool is a survey, which can be administered in-class, like any other pre-survey instrument. During the survey, the students are asked to play with a simple app, that we also designed. The use of the app does one important thing that a survey alone cannot: it tests the students’ digital literacy skills in opening and manipulating the app on their tablet. The first questions on the survey are intended to validate that the student is in fact using the app, and can press buttons and observe behaviors of the app. If a student seems to lack these skills, and did not get the opening questions right, then we know the remaining questions on the survey may be invalid. The survey then goes on to ask the students what blocks of code they think may be driving the behaviors of the app. Looking just at a finished (but very simple) app, and choosing which provided code blocks are likely to drive a particular behavior, the students will demonstrate their baseline for a number of computational thinking skills. Digital literacy skills are a big part of this project. A student who lacks the DL to drive the computer and mobile device will have a harder time assembling apps, which puts them further away from understanding the underlying CT concepts that we want to teach. In this program, DL skills will be taught along with the CT. By measuring the basic DL required to interact with an app, we can establish an important baseline to compare against at the end of the project, where will again measure digital literacy along with the computational thinking. Our project is a collaboration between two adjacent urban school districts—Medford and Everett, MA—and the computer science department at UMass Lowell. We’re working with district teachers, introducing them to computing for social good using MIT App Inventor, and supporting them in developing a 15- to 20-hour curriculum that they’re bringing to their middle school students. There will also be week-long summer camps for the students who are part of the project during the school year, and in September 2015, a project showcase to highlight work accomplished and get the next cohort of students excited about participation. For the first project year, we recruited five teachers (three from Medford, and two from Everett), and we ran a series of 10 professional development meetings on Tuesday afternoons starting in October. These teachers are just about ready to begin project implementation in their classrooms—if only it would stop snowing!